Electric vehicles have become more prominent throughout the years, as many automakers are adding them to their lineup. 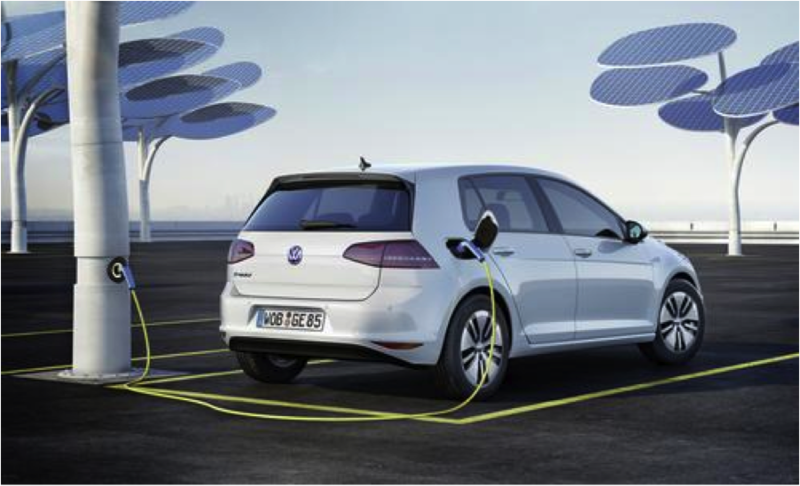 One automaker to recently join the electric race is Volkswagen, adding two cars to the mix: the e-Golf and e-Up!. The e-Golf is an electric version of their flagship, Golf, and will offer an electric range of 118 miles, which is quite decent for an all-electric vehicle. A charge will take around 13 hours, but if you purchase an optional charging station, the charge time decreases to 8 hours. That way, if you have a long morning commute, you won’t have to worry about the vehicle not being fully charged by the time you’re awake. The e-Up! will be a smaller, more compact vehicle with a range of around 99 miles. The battery in this vehicle will be more resistant to the cold and heat, making it a reliable vehicle in all weather situations. You won’t have to worry about your battery dying. Volkswagen was never a big fan of electric cars, but they’ve realized that many automakers are creating them, including Tesla and Nissan. After seeing sale charts, Volkswagen came to understand adding electric cars as an intelligent tactic. Volkswagen plans to have the e-Golf on the roads in Europe by early 2014 and 2015 in the U.S. The e-Up! won’t be released in the U.S. but will be available in Europe this year.